What Would You Do On Your Off-Days If You Were a MLB Player? Mat’s favorite answer: Go fishing! 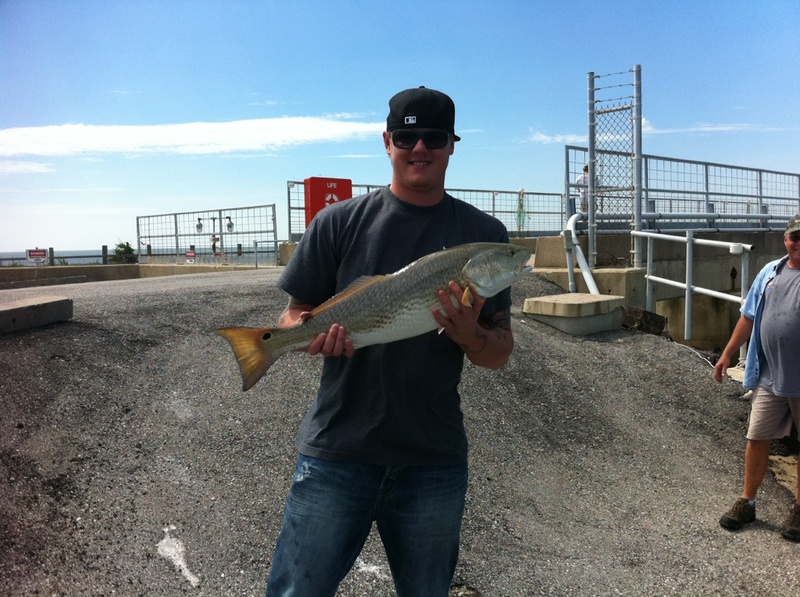 Here he is with his first catch of the day in Texas. Fishing sounds perfect. I’d probably do the same……and itd be different depending on what the city has to offer. Hope you saw the second one I posted to Twitter! If I had a beautiful wife like you Dallas, I would spend my time with you. While that is kind, we usually spend them together but boys days are just good and too few and far between. I would hunt down the predatory mammal stalking the zoo. Wait… is this really happening?! All depends where the off day is! Looks like fun! Here’s a question: Do one or the other of you clean that fish and prepare it for dinner? Because fresh-caught fish is yummmm-MEE. I would fish or hunt and explore the different cities. I guess I would view the city. I don’t know why, but this posting was on the screen when I arrived at this website. It’s great to see Mat doing something fun and smiling, and he’s wearing something different that his baseball uniform! Hi there! I have been reading your blog for some time and I enjoy seeing things from your perspective. It’s great to hear about baseball from the wife of a ball player! It’s a lot of fun. One question I have for you. I read recently that Mat signs all his autographs with “I hate SF”. Is that true? I found it a little hard to believe based on the way you describe him on your blog and it bothered me so I thought I’d go straight to the source to find out.